The cat killer deserved all the negative attention she got, but why hasn't Jerry Brown, who slaughtered a native animal that was not likely threatening anyone, received any negative press? Jerry's actions are hardly unique, nor are they even illegal in California because rattlesnakes are offered little protection there (permits are required to collect them to keep alive, but no license is required to kill them in unlimited numbers). Everyday people post photos bragging about snakes they've killed, most often for the crime of crossing paths with a human, though clearly the braver thing to do would be to learn to live with these fascinating animals. And thousands of rattlesnakes are killed every year, cruelly and publicly, at rattlesnake roundups. These events are mostly covered positively as family-friendly, quirky festivals with no mention of any possible negative effects on wildlife populations (gasoline is often poured into the ground to collect the many snakes for roundups) or the disregard for nature and wildlife they instill in children that attend. We learn from an early age that snakes are evil, malicious killers that are out to get us, our children, and our pets. 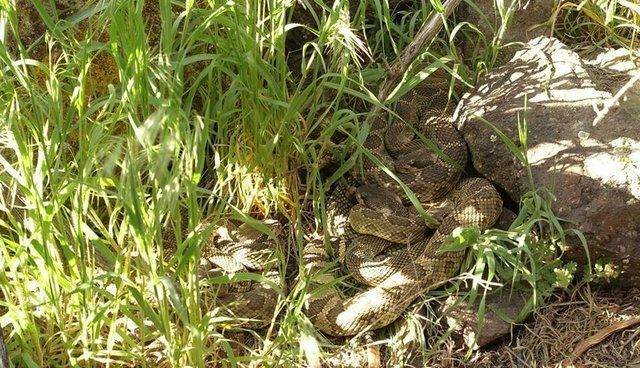 This idea is reinforced by myths, popular culture, positive coverage of events like rattlesnake roundups, and little or no negative attention for those who slaughter individual snakes, like Jerry Brown. But we can fix this. Snakes, especially rattlesnakes, do many things that people find appealing. 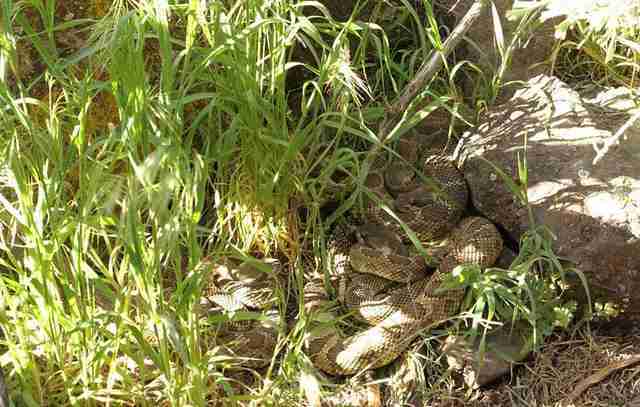 Rattlesnakes give birth to live young and they take care of their kids. They take care of their neighbor's kids. Some snakes are social and they have friends. By sharing stories and information about snake behaviors that people like, we can change the way they view and treat snakes - it's harder to sever the head of a caring mother. Read stories and learn about snake behavior at the Social Snakes blog.